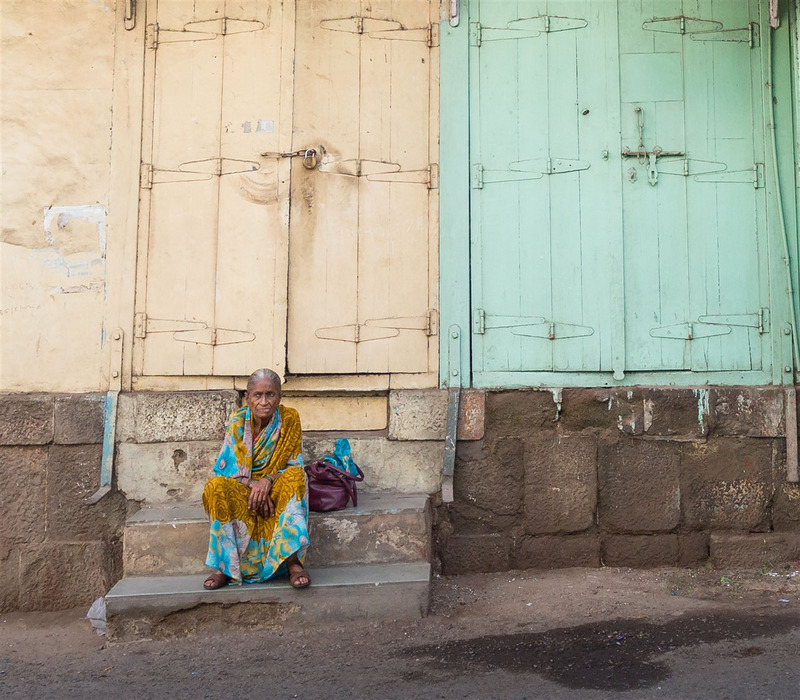 Having visited Pune over fifteen times, I’ve often wanted to go on one of the guided heritage walks around the old city. For some reason it just never seemed to happen, until six months ago when I finally got the chance. The first landmark we reached was the Shivaji Bridge, giving a good view of Ghorpade Ghat down below. 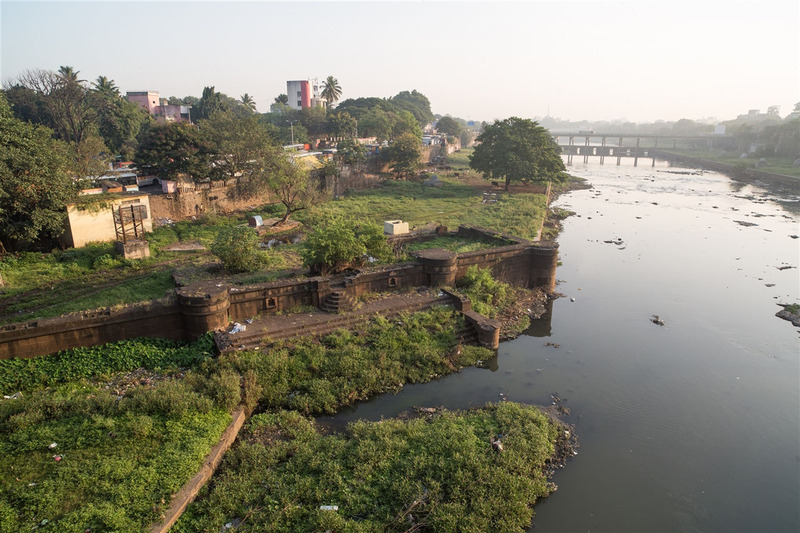 The Ghat was constructed in order to give people easy access to the river. 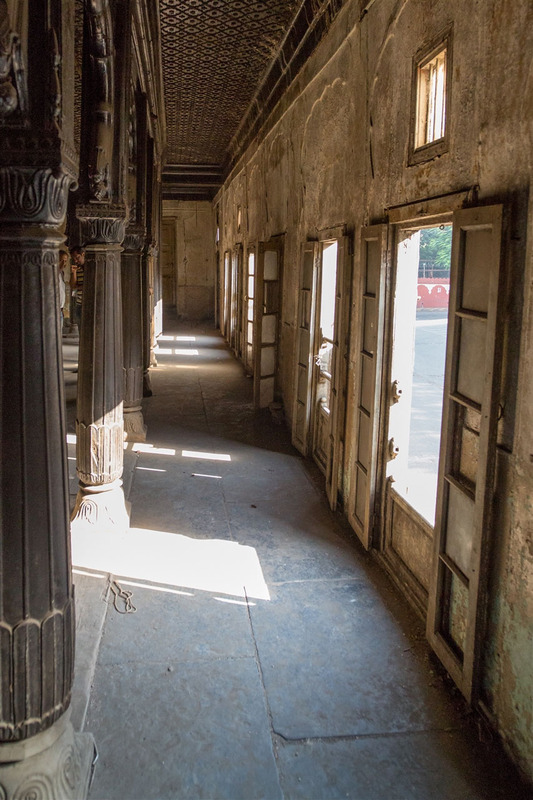 Above the steps were changing rooms, and there was once a temple here that got washed away in the massive floods of 1961. The floods must have had a devastating effect on Pune. Previously I had been shown a landmark in the city that shows just how high the flood waters were near the river. This wasn’t part of the heritage walk, but I thought I’d include the photo here. The red line with arrows on the building shows the flood level on July 12th 1961. 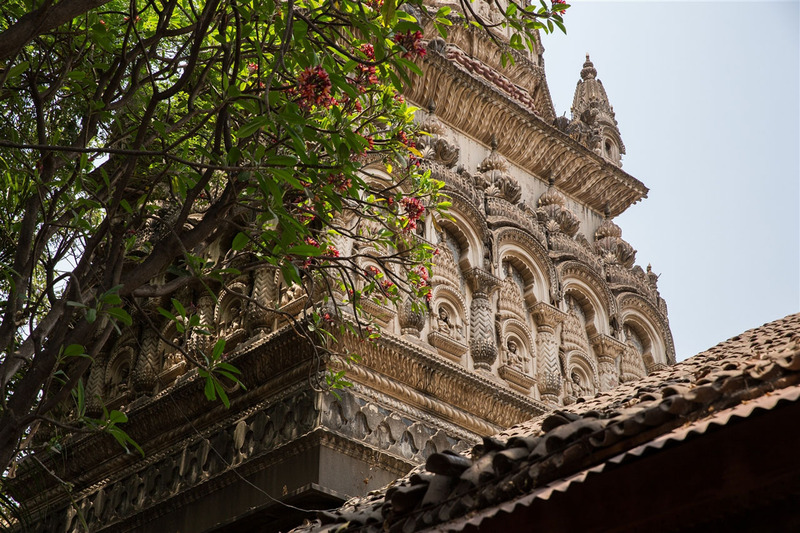 Having crossed the bridge we made our way to what is possibly the most famous and visited site in Pune, the Shaniwar Wada. 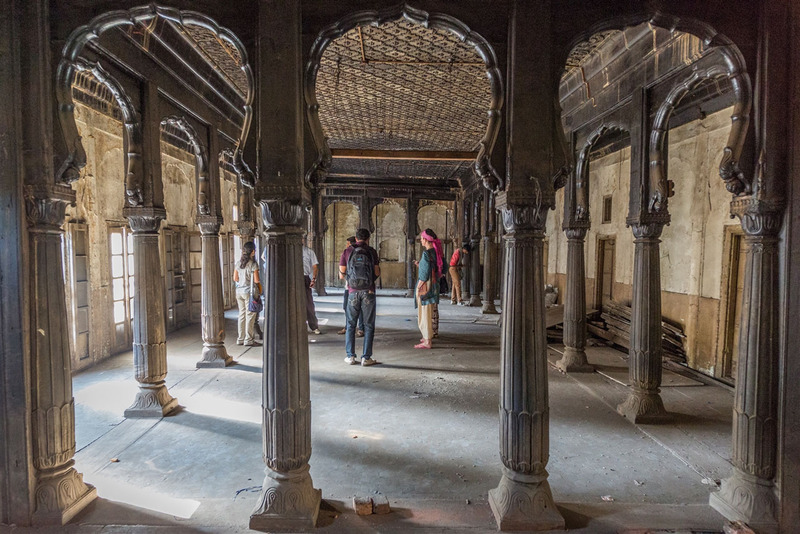 Built in 1746, it was the seat of the Peshwa rulers of the Maratha Empire until 1818 when the Peshwas lost control to the British East India Company. The fort itself was mostly destroyed in 1828 by a fire, but the surviving structures are now maintained as a tourist site. 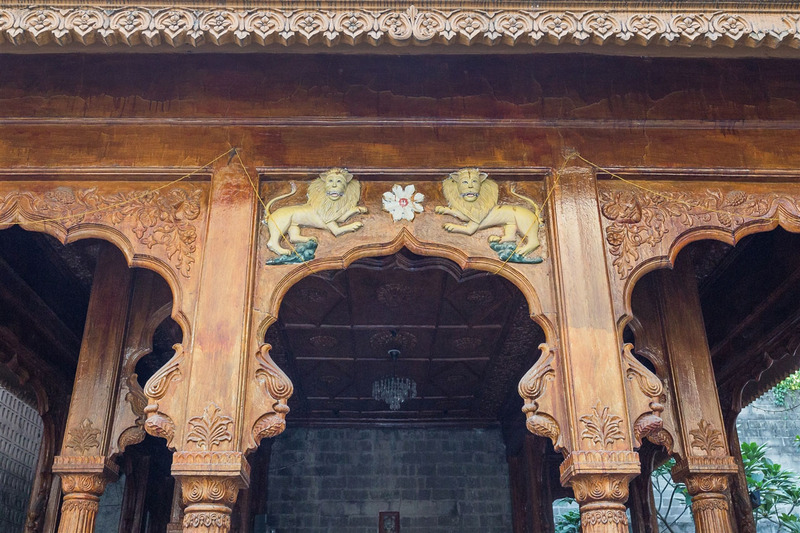 Probably the most noticeable feature of the from the exterior Wada is the Delhi Gate.The doors are massive, large enough to admit elephants with seating canopies. 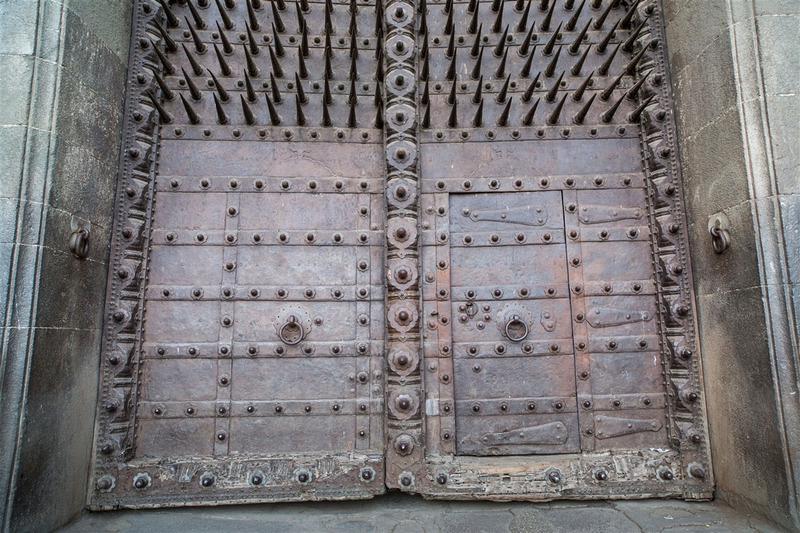 To discourage elephants charging the gates, each pane of the gate has 72 sharp twelve-inch steel spikes arranged in a 9 x 8 grid, at approximately the height of the forehead of a battle-elephant. 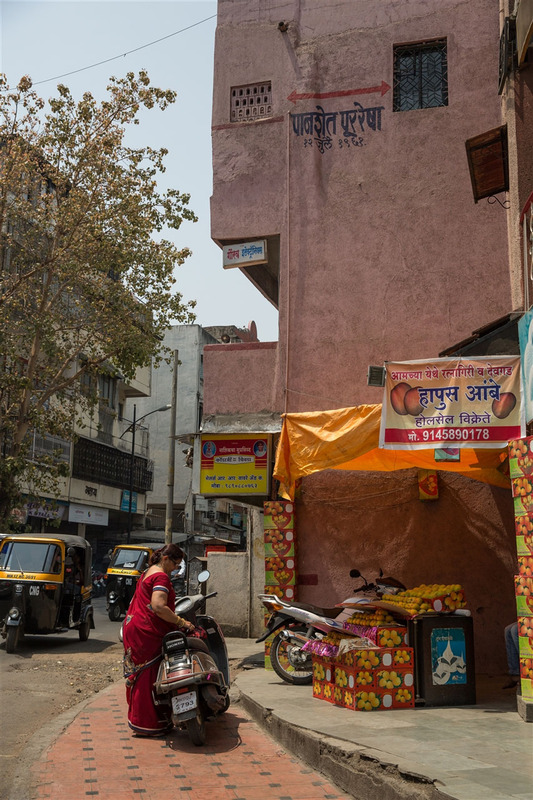 The tour then continued through some incredably interesting back streets of Pune, where the oldest surviving structures in the city reside. 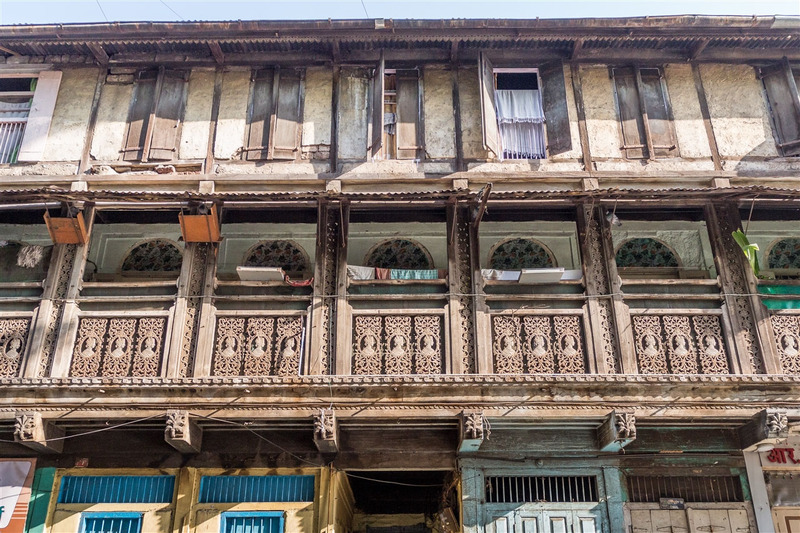 The condition of some of these these buildings is not great, I hope all is done to preserve them as much as possible. We then reached one of the highlights of the tour for me, as we entered Nana Wada. 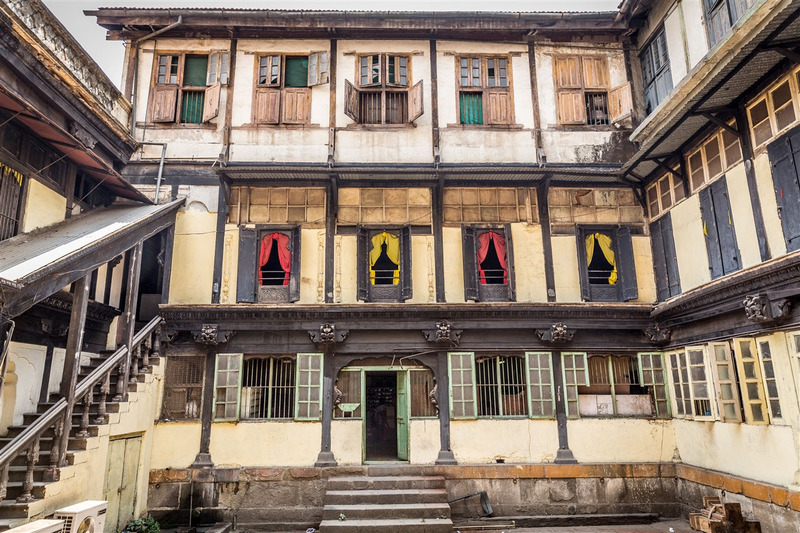 Nana Wada was built in 1780 by Nana Phadnavis, the Peshwa’s chief administrative officer. 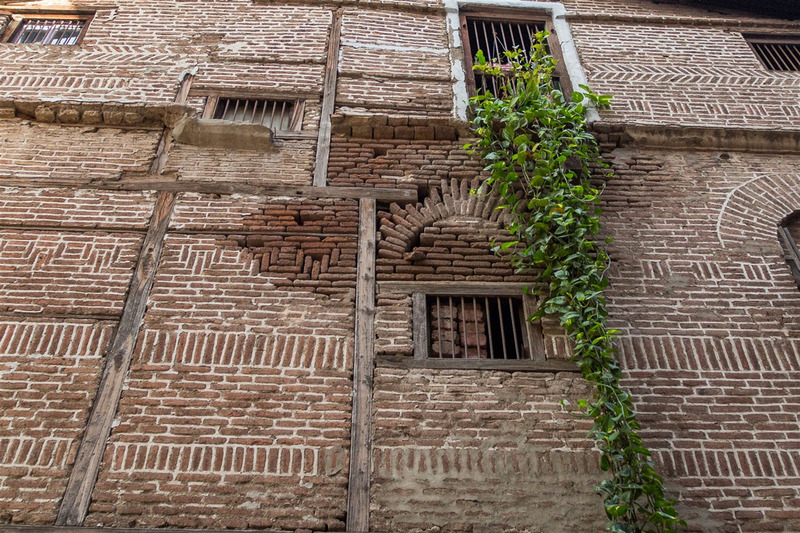 The Wada seems to have suffered from a period of neglect, although it does largely appear to be original, and I believe restoration efforts are currently on-going. 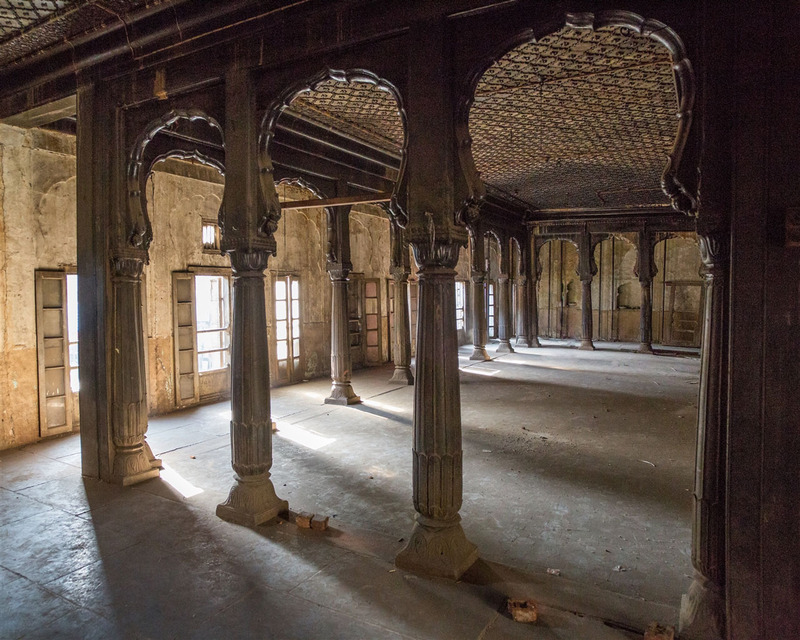 The most memorable part of my visit was the first floor with an intact Diwan-Khana (living room). Here you really felt like you were stepping back in time, I don’t think this room has been touched for about 150 years. 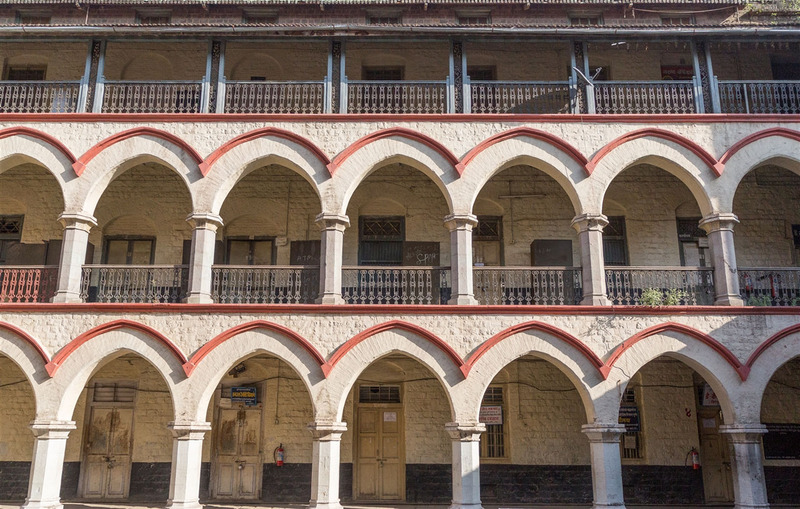 Deccan Education Society began operating the New English School in Nana Wada in 1907, and it currently houses a municipal school and a office of old records. 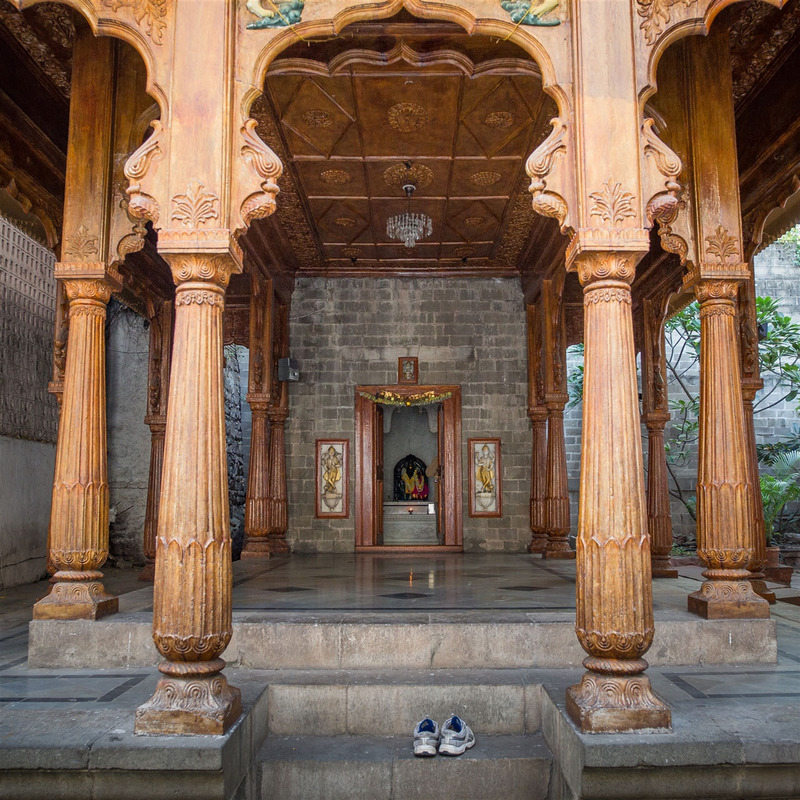 We moved on to yet another highlight for me, and somewhere I had visited previously in Pune, Belbaug Vishnu Temple. I know from personal experience this temple is hard to locate, tucked away in a maze of small back streets and obviously no signage to help you along the way. 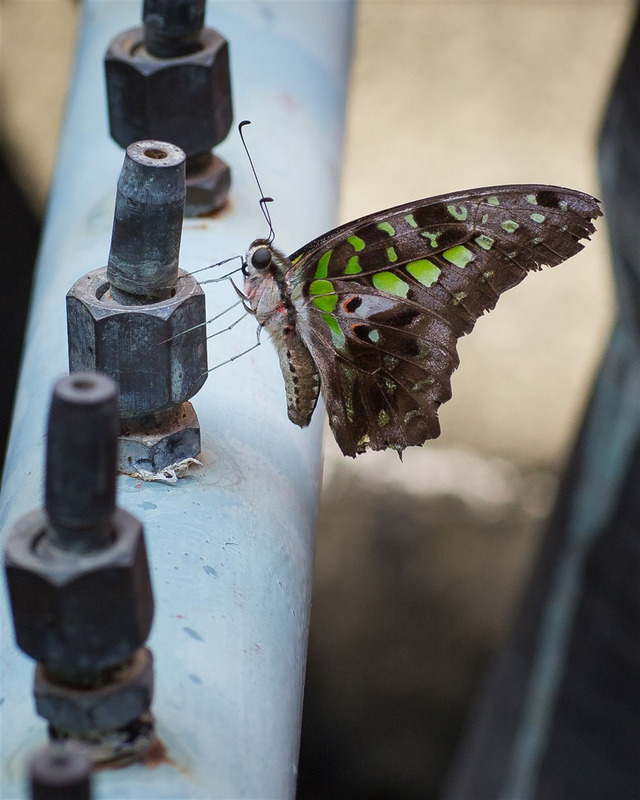 It’s a wonderfully peaceful location despite being only a hundred yards from an extremely busy and noisy market area. 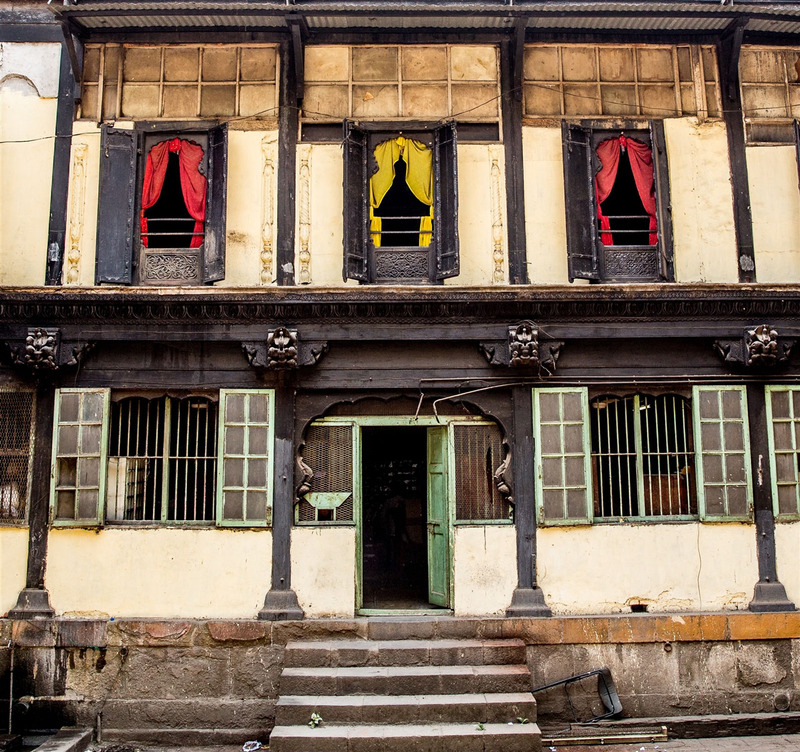 The temple was built in 1769 by Nana Phadnavis, a celebrated chief administrator of Peshwas. Amazingly, the temple is also still managed by Phadnavis’s descendants. 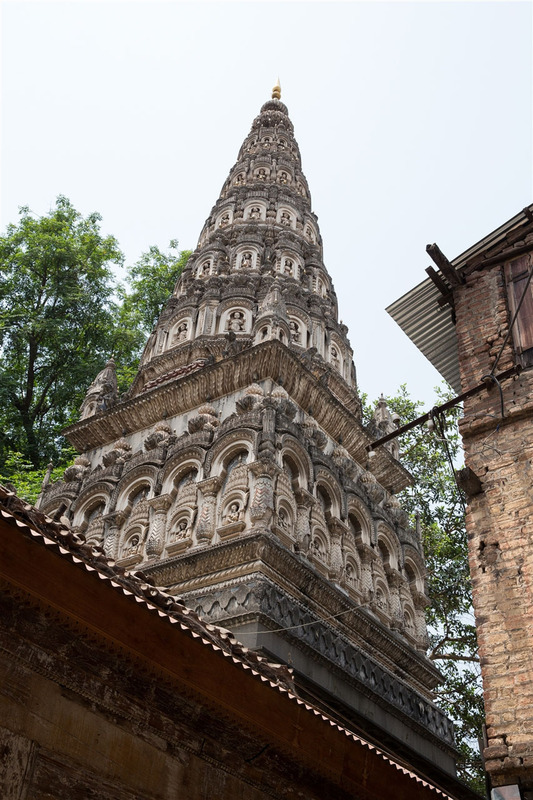 The idol of Lord Vishnu in the temple is dressed by the priests in different colours depending upon the day of week. There’s also a holy basil plant, and Garuda, symbols associated with Lord Vishnu. It’s always a delight to visit this temple. 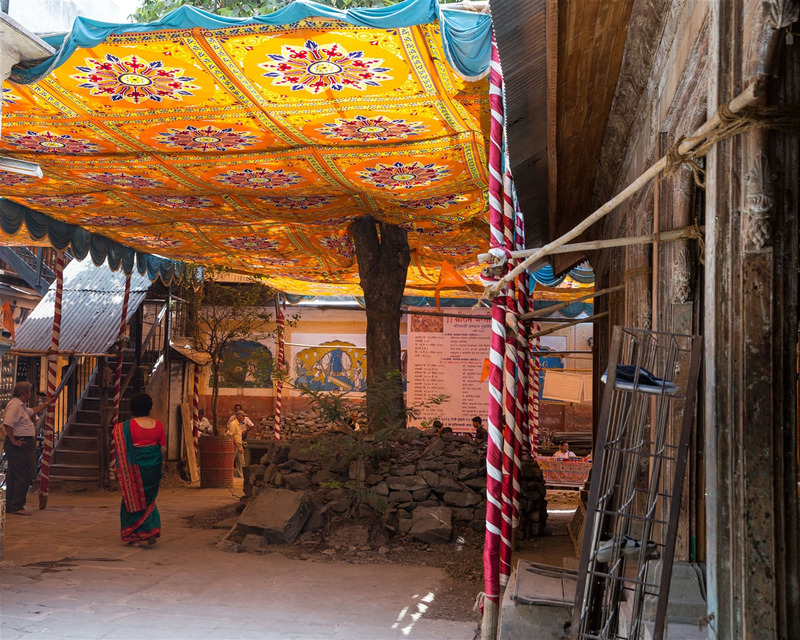 I find a connection to this place that’s different to most of the other temples in Pune. Here the outside world is shut away, in fact you feel like you’re a million miles from anywhere. 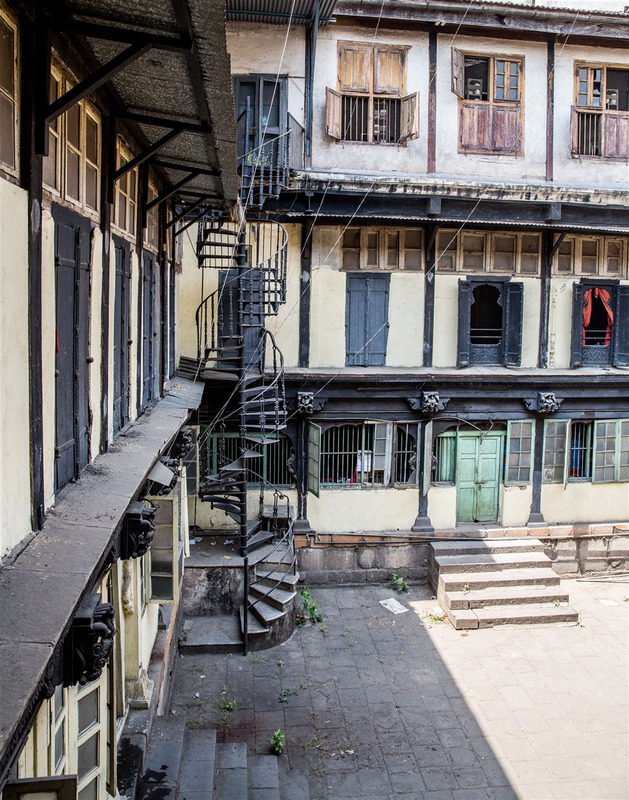 We continued on our journey to the fabulous Vishrambaug Wada. 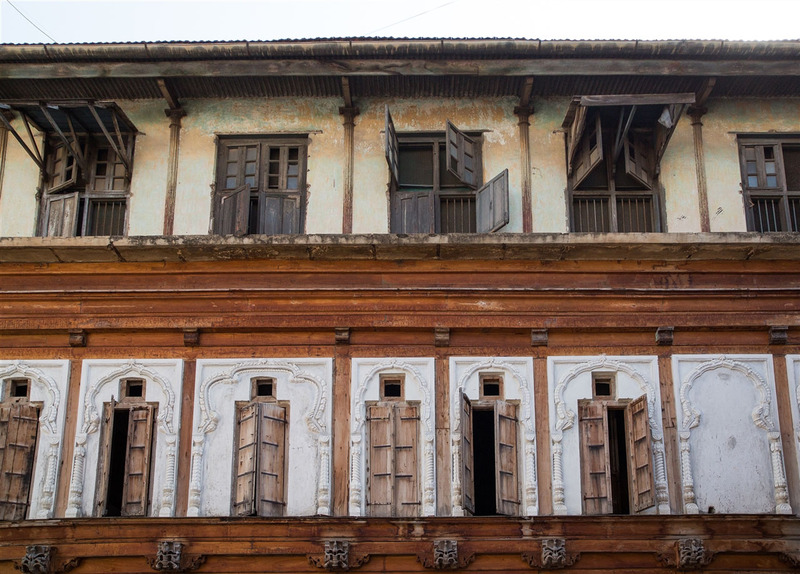 Located in central Pune’s Thorale Bajirao Road, Vishrambaug Wada is an exceptional mansion and former residence of Peshwa Bajirao II, the last Peshwa of Maratha confederacy. 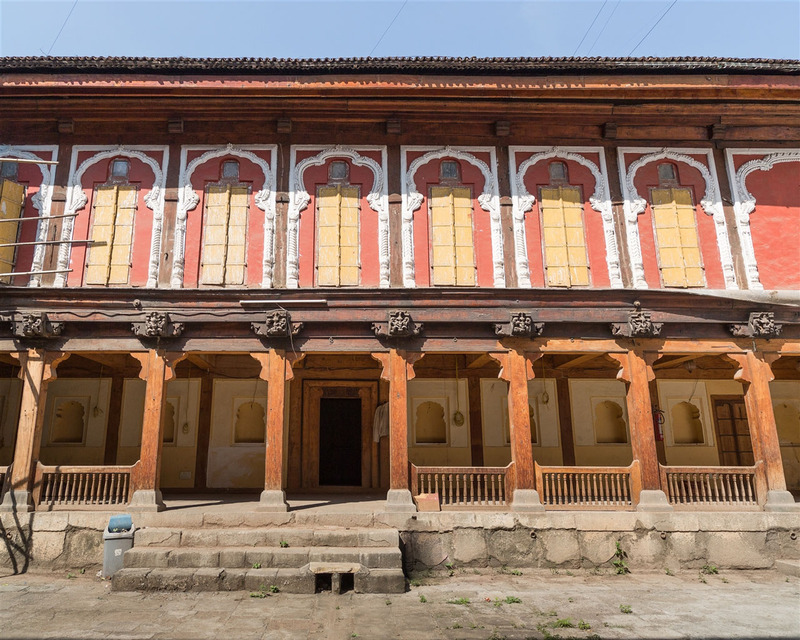 The wada occupies over 20,000 square feet and is currently home to a post office on the ground floor and a few smaller offices plus a museum on the upper floors. 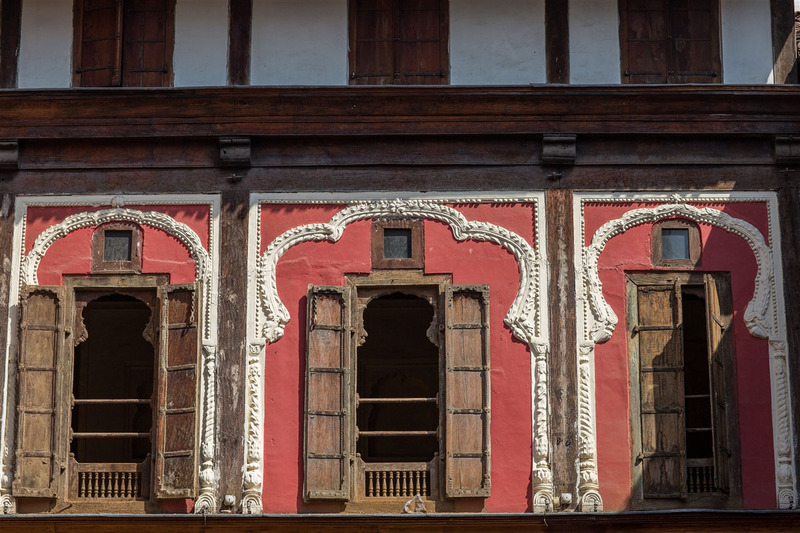 Vishrambaag Wada was built in 1807 at a cost of Rs 200,000, and it took six years to complete the construction. 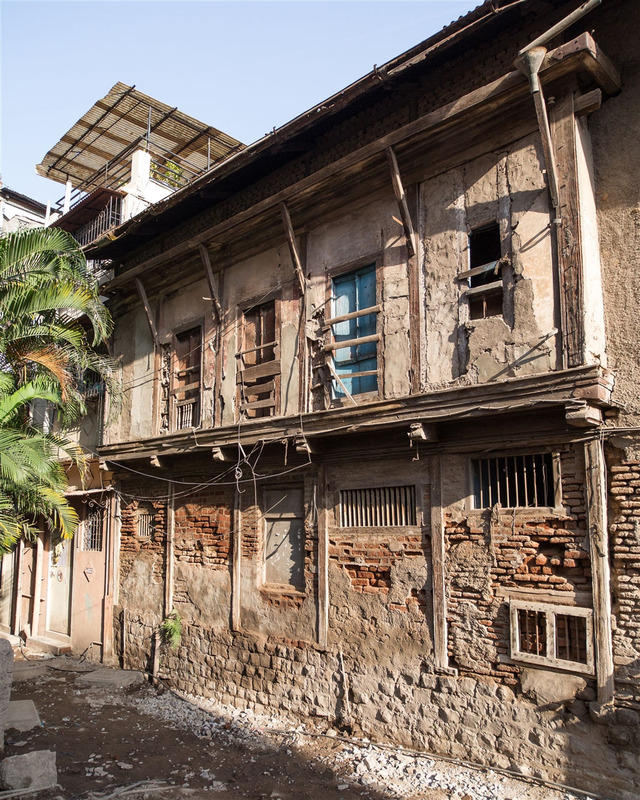 Peshwa Bajirao II preferred this residence to Shaniwar Wada, the citadel of the Peshwas. 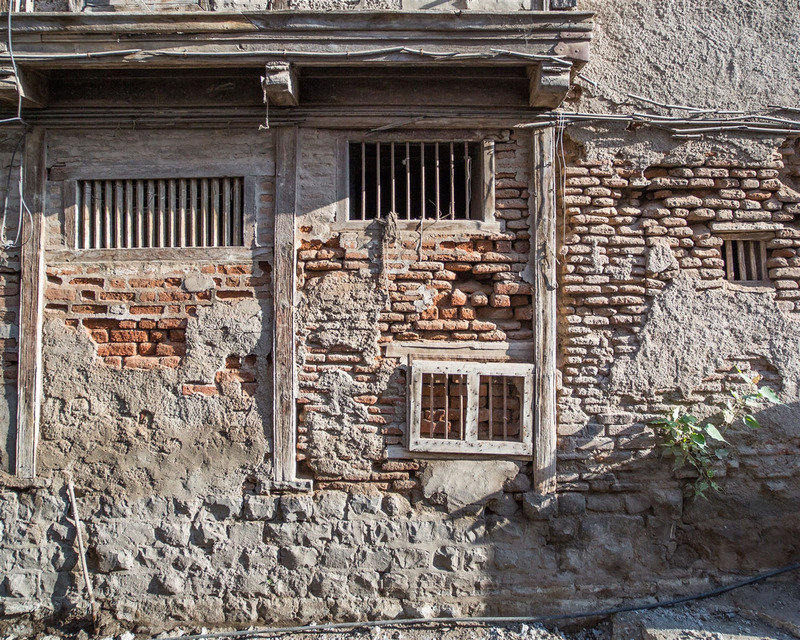 Bajirao II stayed here for eleven years after which he was arrested by the British and detained in Bithur near Kanpur. 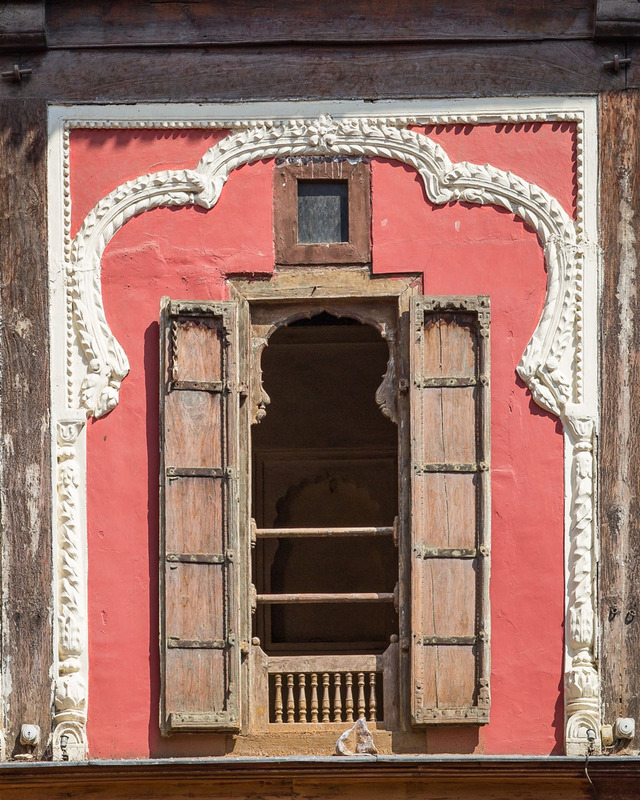 His wife, Varanasibai, continued to stay here for a while before joining him in Bithur. 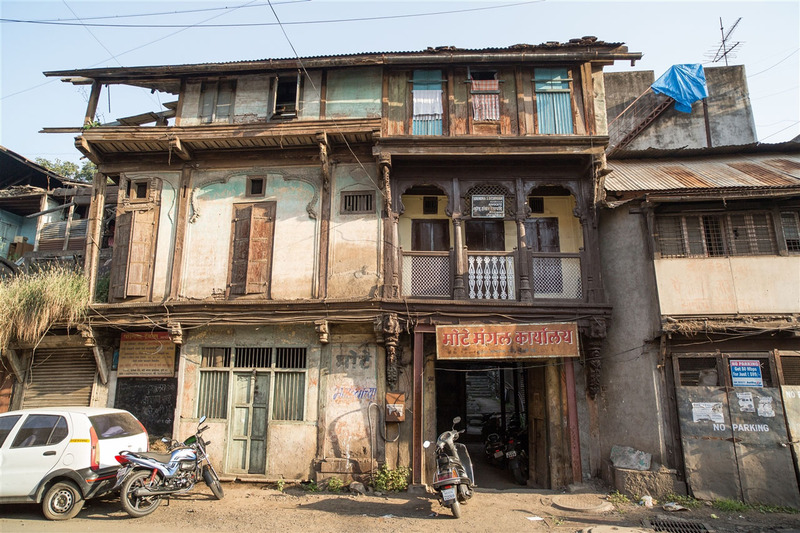 It’s beautiful building, if you only visit one Wada in Pune make sure it’s this one. 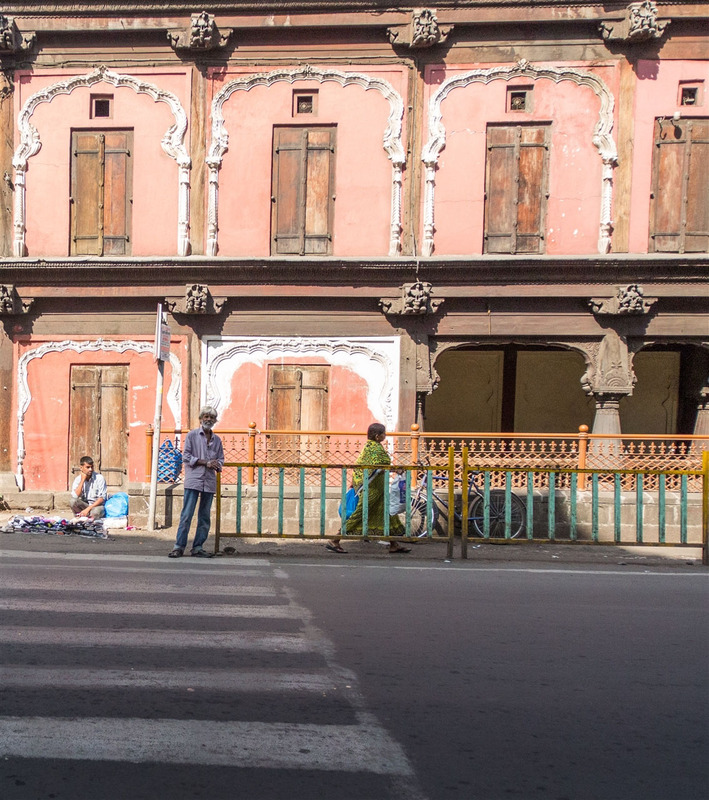 The walk concluded at the Mahatma Phule Mandai, or Market Place. 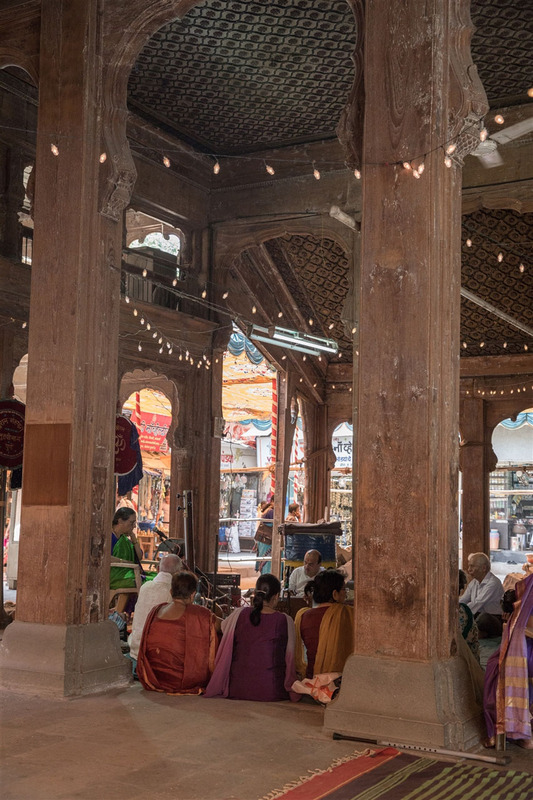 I’ve visited the market a couple of times since the heritage walk and it’s worthy of a separate blog post at some point soon. 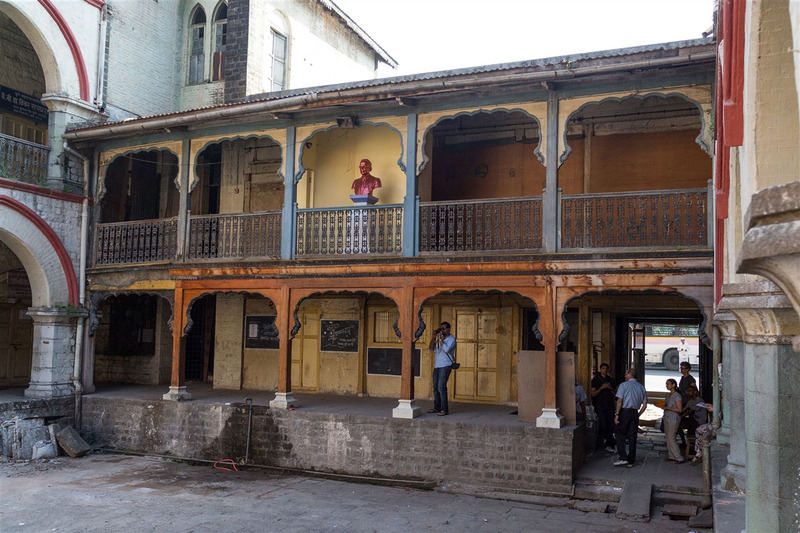 The images you have shown for Belbaug are actually of the Tulshibaug temple. 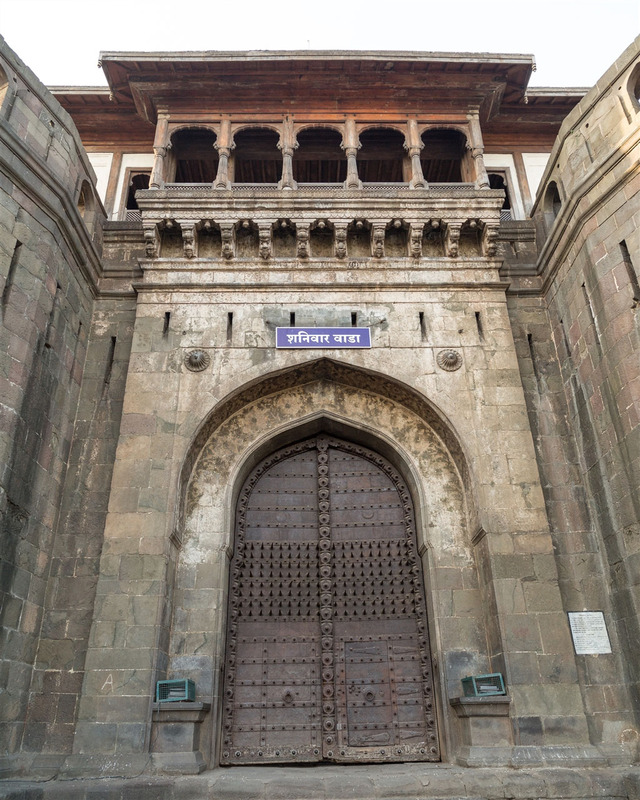 Also Shaniwar wada was built in 1732, not 1746. 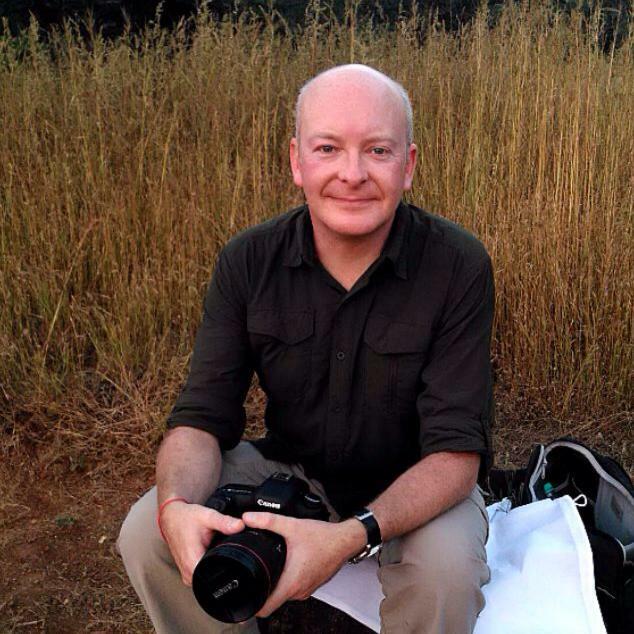 Thanks darpana, will update my post when back in the UK. Currently in Pune !